We’ve all been there. You’re only partway through a very busy day — and your cell phone is dying. There isn’t an outlet to be had. Or you left your charger at home. Now the task becomes trying to figure out how to eke out the last little vestiges of power before your battery completely wimps out. You’d be in a much better place with this phone charging case, one of our favorite new promotional items of 2013. This case, which comes in black or white and can be imprinted with your custom logo or design, fits around your cell phone and is designed to extend your battery life by up to 60%. Just fit your phone into the case and turn it on — it’s that easy! 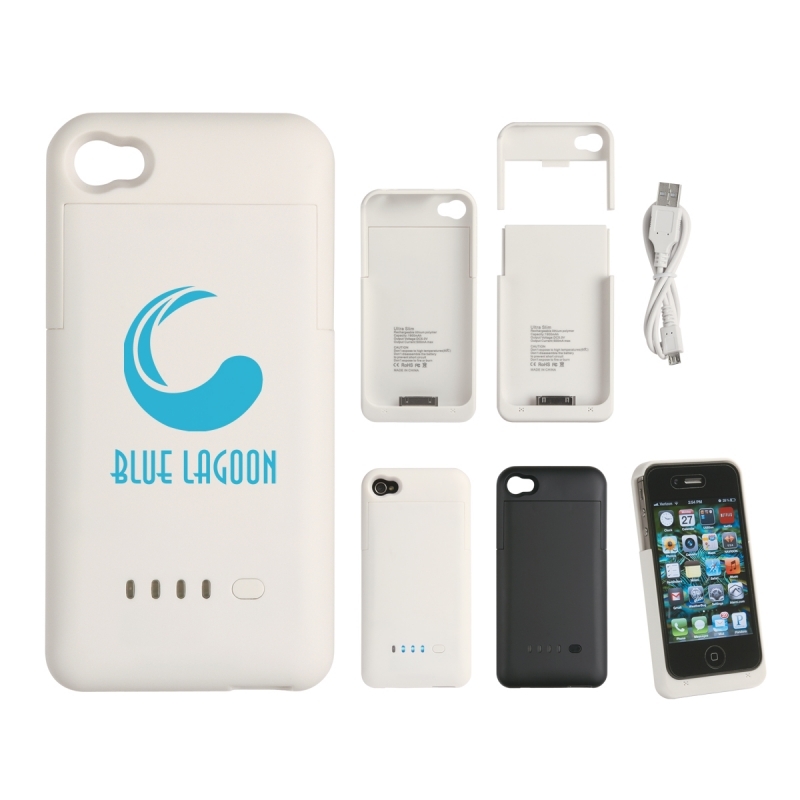 It comes packaged in a gift box with a USB cable, and is currently compatible with the iPhone 4 and 4S. We’re hoping to have this available for other phones soon — but in the meantime, you can also look to this portable gadget charger as a universally tech-friendly alternative. 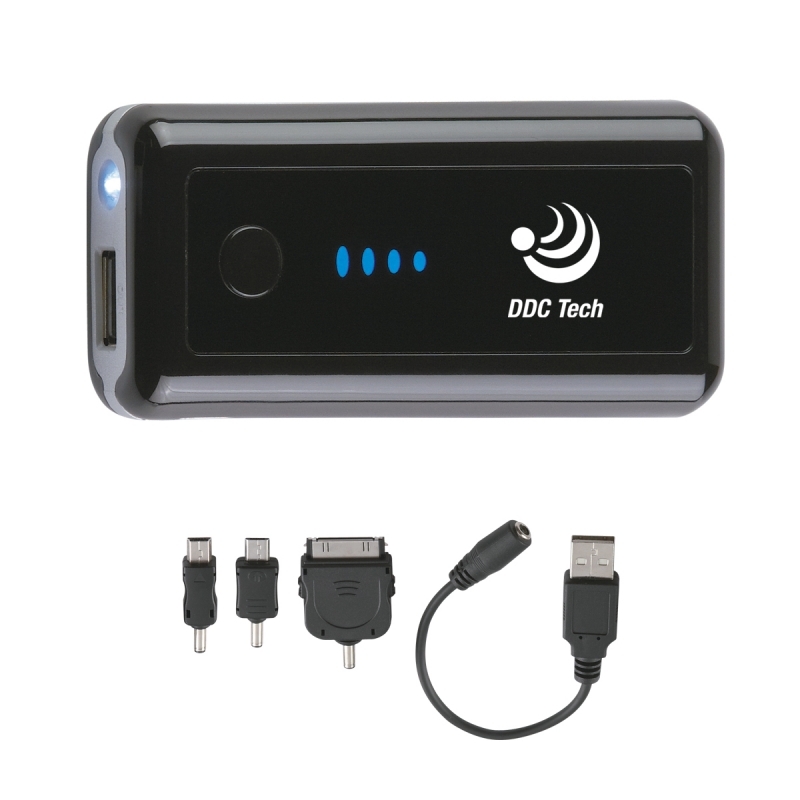 Using the item’s 5200 mAH battery and adapter cables, you can plug into your device and give it a battery boost on the go. Tech accessories are becoming the big new trend in promotional products — and these are some of the coolest and most useful ones out there. Give us a call if you want more information!